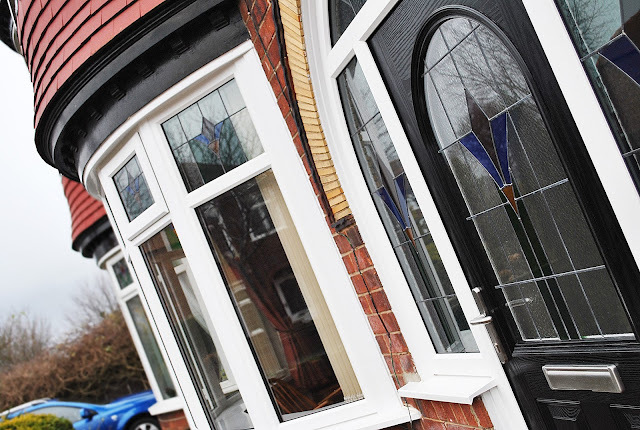 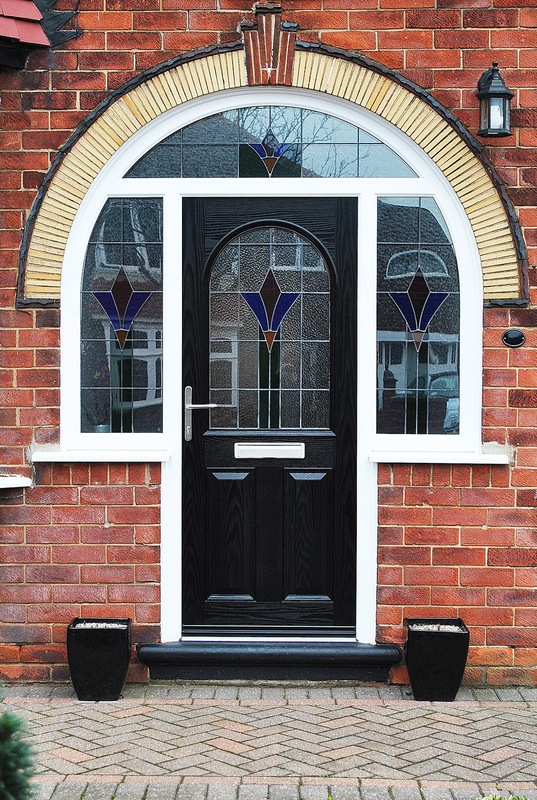 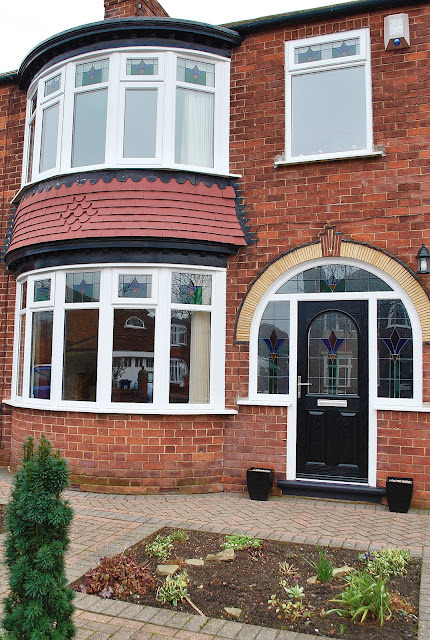 Full House of UPVC windows and composite doors. 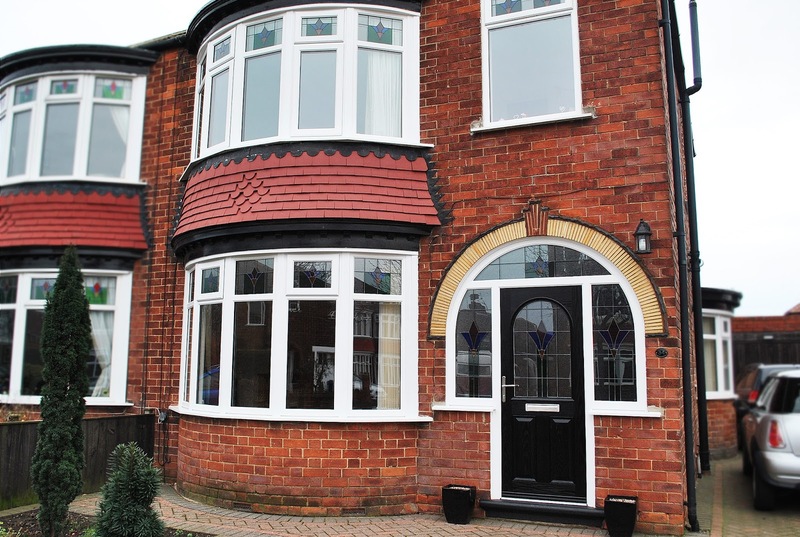 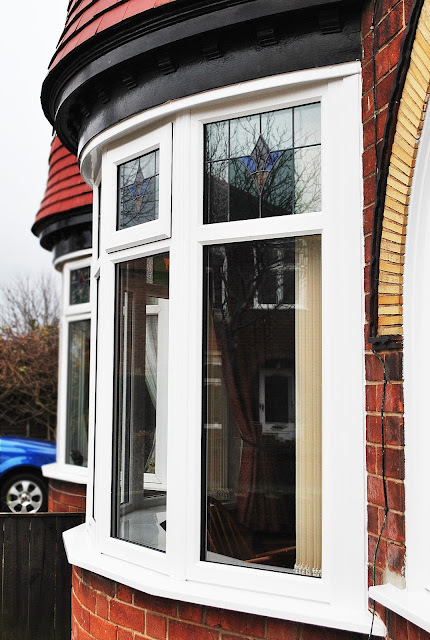 UPVC windows with colored top lights with top openings with high quality white rehau UPVC profile. 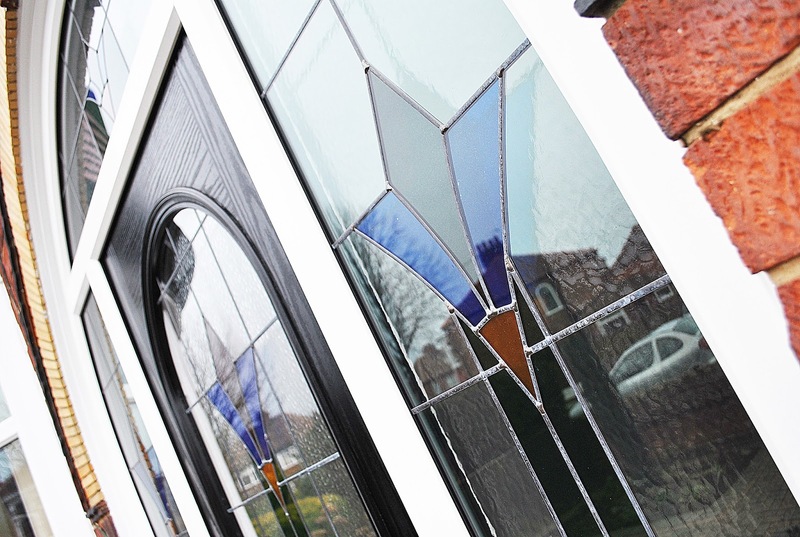 Close up detail of bespoke glass design, with coloured top lights in windows, doors and side panels. Beautiful coloured lights, within side panels.